One of the main attractions of Kumrovec is the Ethnological Museum ”Staro Selo” Kumrovec, a unique open-air museum, with preserved original village houses from the turn of the 19th/20th century. The history of the ”Staro selo”, began with setting up of Tito’s monument, the work of Antun Augustincic in 1948, in front of his birthplace, and in 1952, the museum in Kumrovec was founded. First it started with the renovation of the birthplace of Josip Broz Tito, i.e its restauration. Today, the birthplace of Josip Broz Tito is at the beginning of the museum, and it contains historical and ethnological exhibits. In 1977, the regional plan of Kumrovec was brought and the renewal criteria were defined, for which it is necessary to base on the authenticity of objects and their purpose at the turn from the 19th to 20th century, the preservation of cultural and historical values ​​and restoration of native vegetation. Dilapidated ruins of the houses, valuable examples of rural architecture, should have been redeemed from the owner, and destroyed buildings shuold have been rebuilt on the same site. So far, around 40 residential, commercial and ancillary facilities have been arranged, so that ”Staro selo” is, by far, the most attractive facility of its kind in Croatia. Visitors can tour the permanent ethnological exhibitions of traditional ways of life from the area of the river Sutla, from the late 19th century (for example: Wedding in Zagorje, Life of a young couple, From hemp to linen, Blacksmithing, Wheelwright crafts, Pottery, From grain to bread, etc.). Josip Broz Tito was born in Kumrovec in May 1892, in a poor peasant family. After primary education, he graduated in his locksmith craft in Sisak. He entered the socialist labor movement in Zagreb, in 1910. After that he worked in Slovenia, Czech Republic, Germany and Austria. Following the outbreak of the World War I, he was sent to the Russian front, where he got arrested for antimilitary propaganda. After prison, he goes to the front where he was wounded and captured in 1915. From 1917 -1920, he participated in the revolutionary movement in Siberia. Arriving at Zagreb in 1920, he entered the Communist Party of Yugoslavia (CPY) and worked as a metallurgical employee throughout the Kingdom of Yugoslavia, fighting for employee rights. In 1934, he was sentenced to prison for communist activities, and by 1934, he spent most of the time in prisons (Lepoglava, Maribor, Zagreb). In 1935 and 1936, he sojourned in Moscow, where he returned to the political work in the country. Since 1937, he was the General Secretary of the Communist Party. During World War II (1941 – 1945) he organized military resistance, the national uprising and partisan detachments. From the very beginning he was the supreme commander of the armed forces of the national uprising, and the National Liberation Army. After the war he became president of the New Yugoslavia and he managed the reconstruction of the country. Josip Broz Tito emerged from the war as a renowned statesman, leader of the anti-fascist war. For Croatia, he is credited not only for returning parts of Dalmatia that the Ustasha regime ceded to Italy, but also for Istra, Rijeka and Kvarner being a part of the country of Croatia. After the war, he occupied the key states and political positions: president of the provisional government of the Democratic Federal Yugoslavia, supreme commander of the Yugoslav Army and the defence minister, secretary general of the Communist Party. Tito, in mid-20th century, became one of the founders of non-alignment movement – a group of countries which, through an active policy of peaceful coexistence, acted as a factor of tension mitigations between NATO and the Warsaw Pact. He remained at the head of Yugoslavia until his death on May 4, 1980. Surrounded by the ruins of Cesergrad and the chapel of Our Lady Risvic, at the entrance to the Municipality of Kumrovec, on a road Klanjec – Kumrovec, there is a monument to the Croatian anthem “Our Beautiful” in a protected, significant landscape Zelenjak, surrounded by wooded slopes of the river canyons of Sutla. The monument was erected for the occasion of 100 years anthem’s existence (by the group Croatian Dragon Brothers), in the honor of its author Antun Mihanovic. Today, the official anthem of the Republic of Croatia was first published in the 10th issue of the “Danica” magazine, in 1835. and the music for it was composed by Josip Runjanin in 1846. By the end of the century, song became very popular among Croatians and it received a new name, by the first verse – “Our Beautiful Homeland”. At a legendary inspiration place of Antun Mihanovic’s song, Croatian Dragon Brothers gruop, in a short period of three months, raised the obelisk, according to a draft of sculptor Rudolf Ivankovic. Monument 13,2 meters high was unveiled on November 24, 1935., in a big national ceremony, along with numerous crowd. Into a monument a memorial plaque is built, with the first verse of the anthem, the relief showing Antun Mihanovic and an inscription. On a beautiful place, almost perpendicular to the hill above the monument “Our beautiful” is the Chapel of Our Lady Risvic. The chapel was first mentioned in 1639 and referred to only a part of its description – the bell and three altar cloth. Over the period the chapel has been reconstructed, only the statue of Our Lady, from the initial inventroy, was kept. The chapel was built according to the visitation in 1687. In the central niche, there was a statue of Our Lady with the moon and the baby Jesus under her feet, and a scepter in her hand. Statues of St. Peter and St. John the Evangelist were on the side. By 1802, the chapel had a brand new main altar under the title Our Lady of the Miraculous. The main altar, although still quite friable, is the most valuable part of the inventory. In the canonical visitation chapel of St. Roch on Kumrovec hill, was first mentioned in 1686, with statues of St. Roch, St. Sebastijan, st. George and St. Rozalija. Due to the age and the narrowness, in 1739, a new chapel was raised for 600 people, statues and altar were moved, as well as the old nursery, and the altars of St. Valentine and Lady of Sorrows were suffixed. It was built as a pledge against the plague, and remained long unfinished. Believers painted the chapel in 1844, and in 1848 they set up the other organ in it. The old baroque chapel was demolished in 1962 for political reasons, and against the will of Josip Broz Tito, in whose name it was made. Today, out of the old chapel, only the foundations were excavated and restored, on a hill overlooking the Villa “Kumrovec”. The new church of St. Roch was built on the other end of Kumrovec, by the road, but only with a statue of a saint, much poorly settled than the former. At the slope at the foot of Razvor, lonely stands counts Erdödy manor, built around 1780s, in a late-Baroque style. 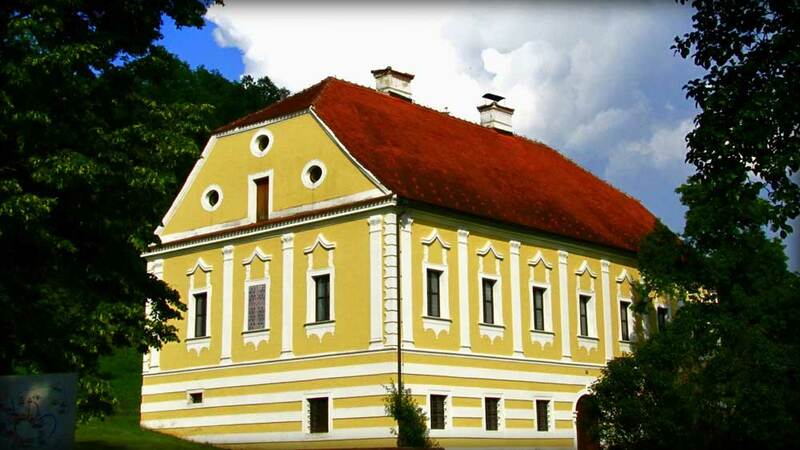 This noble family, except estate in Varazdin, occupied new ”Dvore Klanjecke”, along with this smallish castle – manor. At the ground floor of the manor, there was a large kitchen with a wood oven and a food preparation area, while a wine cellar with a barrel vault boltastim, was in the back. Wooden stairs led to the second floor, and to the left and right from the spacious hallway, led the door into children’s rooms. Through the massive double door, was an entrance to the central room of the palace. To the left and right of the central room, were smaller salons used for dining, and next to them were the bedrooms. Today, the manor is converted into a villa Mlinaric. 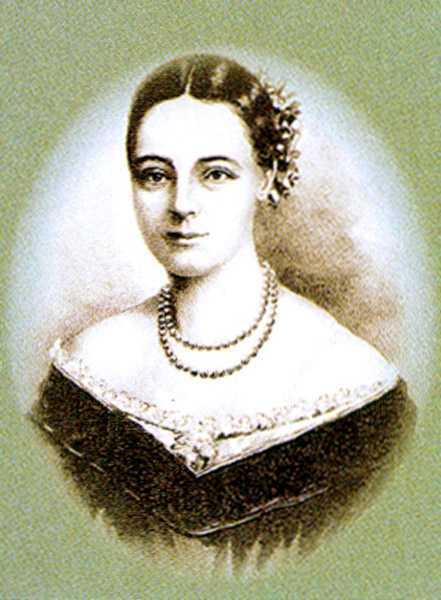 Countess Sidonija Erdődy Rubido spent her earliest childhood in the manor. 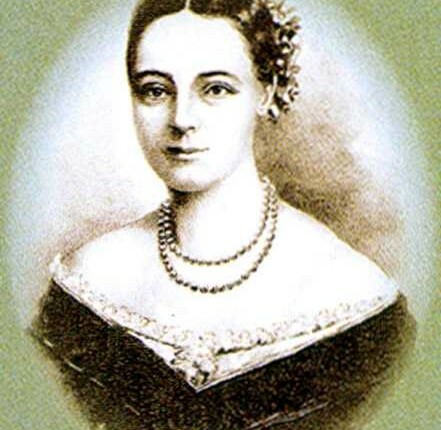 She was most popular singer of that time (19th century) and the first Croatian opera prima donna, (an ardent supporter of the Illyrian movement). She was the first who publicly sung in Croatian language (“Croatia has not yet collapsed” and aria Ljubica from first Croatian opera “Love and malice”).